Terry Slattery is a Principal Architect at NetCraftsmen, an advanced network consulting firm that specializes in high-profile and challenging network consulting jobs. Terry works on network management, SDN, network automation, business strategy consulting, and network technology legal cases. He is the founder of Netcordia, inventor of NetMRI, has been a successful technology innovator in networking during the past 20 years, and is co-inventor on two patents. He has a long history of network consulting and design work, including some of the first Cisco consulting and training. As a consultant to Cisco, he led the development of the current Cisco IOS command line interface. Prior to Netcordia, Terry founded Chesapeake Computer Consultants, a Cisco premier training and consulting partner. 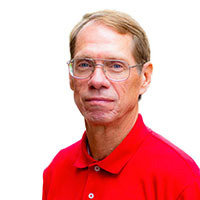 Terry co-authored the successful McGraw-Hill text "Advanced IP Routing in Cisco Networks," is the second CCIE (1026) awarded, and is a regular speaker at Enterprise Connect. He blogs at nojitter.com and netcraftsmen.com.